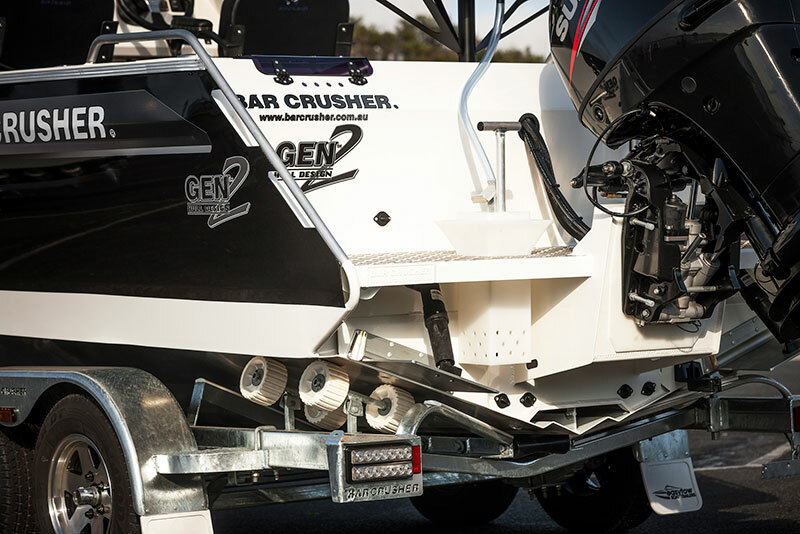 Award-winning Australian boat manufacturer Bar Crusher has cemented its position as an innovator in boat design and construction with the release of its Gen2™ hull. The new hull combines key features including a wider negative chine running forward, optimised wider chine aft and the distinctive Delta Flare™ – delivering greater hydrodynamic lift for more efficient planing and improved fuel economy, a higher bow attitude and better spray deflection for a dryer ride, as well as increased stability at rest. Introduced on the new 615C and 615HT models, those lucky enough to have experienced the Gen2 hull during pre-launch water tests have already placed orders. Bar Crusher director Peter Cleland said one of the company’s core values was to provide its customers with boats that delivered the highest level of performance and function. “Over 18 months of research, development and testing were invested in the Gen2 hull and we’re confident customers will appreciate the clever design and engineering that has gone into creating this unique hull,” Mr Cleland said. “Every industry has to have a leader… and Bar Crusher’s vision is to lead the way in plate aluminium boat design by continuing to innovate and continuing to build boats that deliver superior on-water performance. Bar Crusher’s new 615C and 615HT each measure 6.15m LOA with a 2.25m beam and are constructed from high-tensile 4mm (bottom sides) and 3mm (top sides) commercial marine grade plate aluminium. Rated to carry up to a 150hp outboard, combined with 140L fuel tank, the new models incorporate all of the functional fishing features for which the brand is renowned. “Bar Crusher set a new benchmark in Australia when the company launched in 2000, with exclusive innovations such as Quickflow water ballast technology, Rigideck engineered sub-floor system and Waveslicer smooth non-pounding hull,” Mr Cleland said.